Pursuing the new American Dream. Before we even set out on our travels, we had a vacation planned for two weeks in Hawaii in October set in place. For us, it was going to be a respite from all the labor that comes with full-time RVing, but with all the wanderlust fulfillment. Plus, we were going to relax on sunny, sandy beaches in our swimsuits in October and November. Sign. Us. Up. We went with my (Steph’s) family, so the whole brood totaled eight people – me, Elliott, our two girls, my parents and my two brothers. 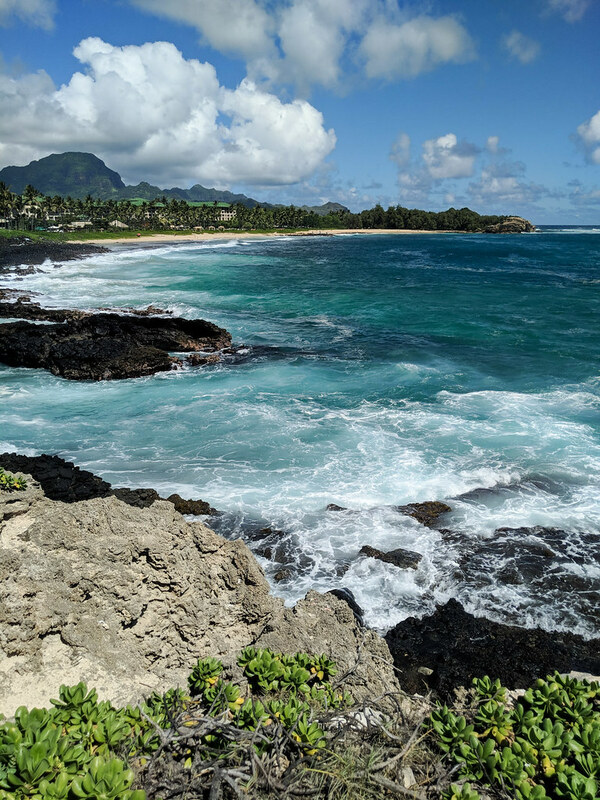 We set off for Kauai on October 20, and spent the next two weeks in paradise. Hello! We are Steph and Elliott. We live in a 27-foot RV with our two small children and travel the United States in pursuit of the new American Dream. To learn more about our story, click here.